Every now and then, a bit of London-centric news drifts around the Londonist newsroom (which doesn't exist but imagine a bunch of emails flying around in lieu of an actual office) and is not paid that much attention. However, there comes a time when something requires a closer look for what it is really saying, such as this report on a poll for the top ten London film locations. Commissioned by cinema advertising company Pearl & Dean, the results of the poll aren't surprising, but neither are they entirely pleasing. Half the list is drawn from romantic comedies and children's classics, the other half is a mix of horror and action movies, so that's nicely even-handed, representing most genres. Only one is missing: real-life London. The list creates an entirely fictional London whether it is one that has werewolves prowling Piccadilly Circus, Westminster Bridge emptied by rage-infected zombies, a woman feeding pigeons outside St Paul's without getting fined or a full chorus singing and dancing around a studio-built Covent Garden. We're not even going to mention the revoltingly honey-covered tourist board London that writer-director Richard Curtis presents. 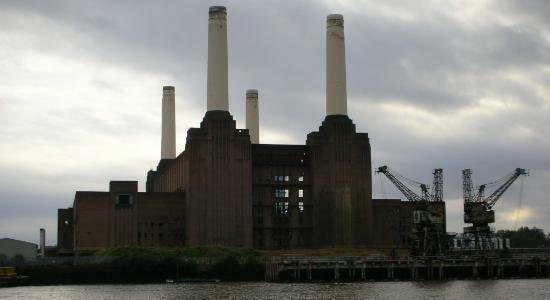 His three entries in the list indicate just how far from London life this list of top London film locations has strayed. We invite you to add suggestions for your very own Londonist Top Ten Film Locations as you see fit. The after-dark world of late shift workers in Dirty Pretty Things should feature, Battersea Power Station in Children of Men should get a mention, Harry Potter and his computer-generated, make-it-nice-for-the-American-kids London definitely should not. Comment away!